This hardy perennial produces an abundance of flowers in shades of violet pink, and white. 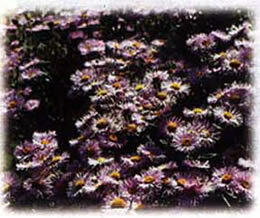 The Alpine Aster is ideal for rock or alpine gardens and is great for cutting. 3-10" tall.